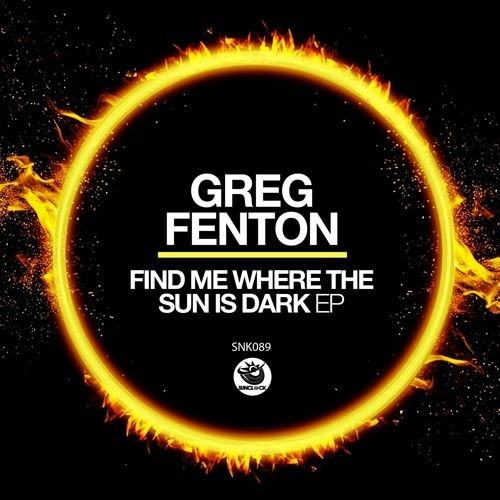 Traxsource Release: 11th April 2019 Worldwide Release: 25th April 2019 Sunclock are extremely proud to present our next record by the UK Dj, producer and journalist Greg Fenton. He enters with the fantastic 'Find Me Where The Sun Is Dark EP', a very refined deep house pearl. The 'Original Mix' has a classy groove composed of highly elegant sounds with warm pads accompanying the complete track until the arrival of a timely, atmospheric voice spreading its potent refrain across the production. The electronic bass synth which intrudes from the second minute onwards brings us back to reality with our feet firmly on the dancefloor. In the second half the piano solo creates another point of reference to support the voice, falling gently away, while heightened emotions continue to accompany us until the end. 'Piano 222' is an instrumental track with a very straight 4/4 case. After the first introductory minute it explodes with a sharp groove and pad melody that whirls like a vortex. The central break is just a vague illusion as the rhythm then starts again at full speed ... a very effective choice!